The scandal broke Friday, when U.S. regulators said the German company had programmed over 500,000 vehicles to emit lower levels of harmful emissions in official tests than on the roads. 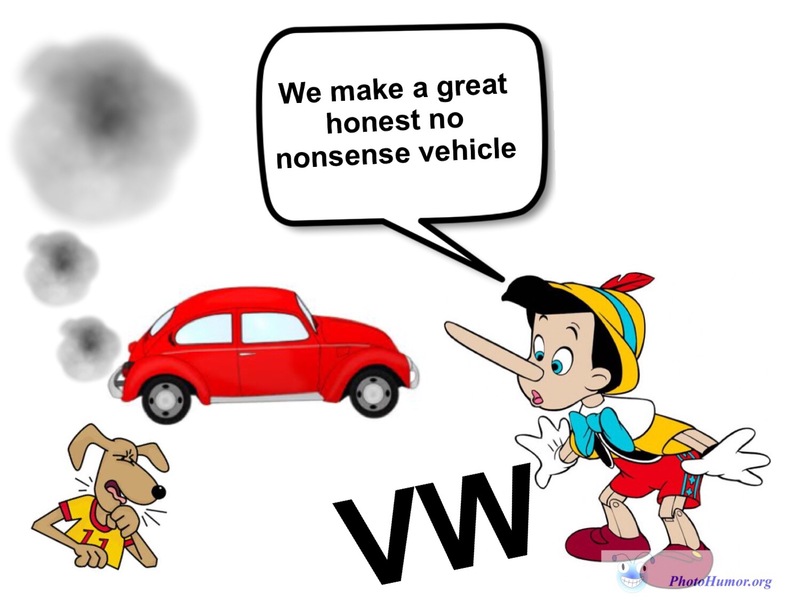 Oh whoops…..
Posted on September 22, 2015 by Photo Humor Man	• This entry was posted in environment, ethics, europe, germany, lies, morality, technology and tagged Volks wagon, VW. Bookmark the permalink. yeah, I know. And you’re right. To think they would not get caught with their hand in the cookie jar was just flat stupid. I love the quote by Bill W too. Where do you find all these great quotes?